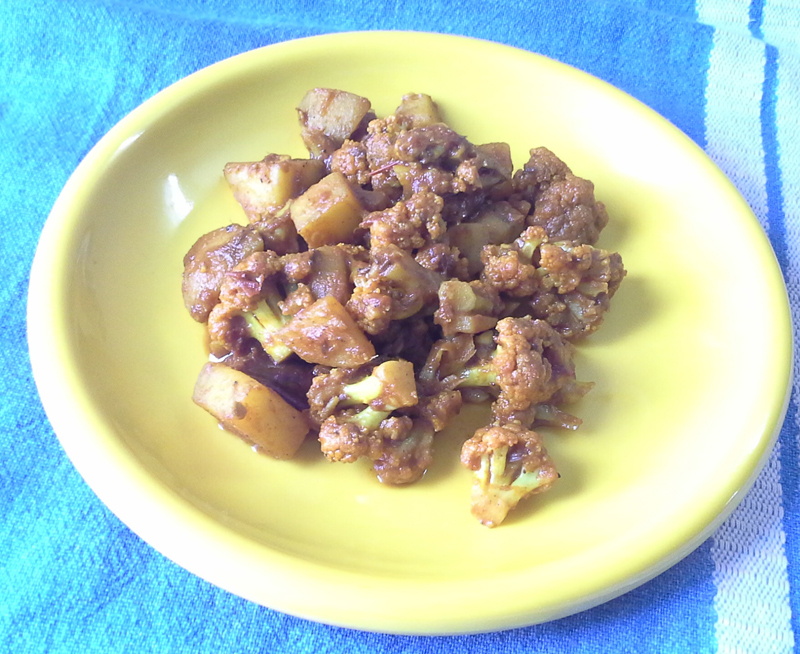 Aloo Gobi is a traditional Punjabi dish had with phulkas for breakfast. This recipe requires minimal cooking skills. Very few spices are added but it is cooked on a low heat till the cauliflowers are cooked, giving it a very different taste. In a bowl pour hot water with salt. Mix and soak the cauliflowers for 10 minutes. In the meantime, in a wok heat the oil and add the potatoes. Fry them it lightly browned. Remove and keep aside. In the same wok add the drained cauliflower and fry they are lightly brown as well. Remove and keep aside. In the same wok add the cumin seeds, dry red chili and asafetida. Sauté till cumin seeds starts to crackle. Add the ginger garlic paste and sauté for another minute. 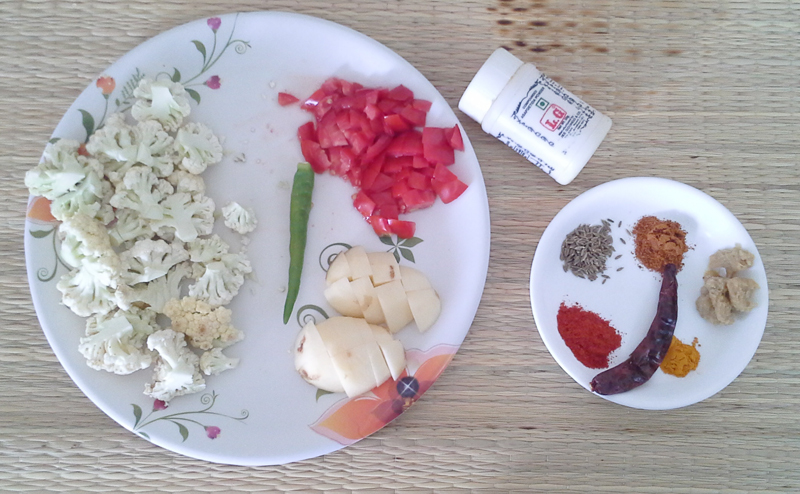 To this add the red chili powder, turmeric powder, garam masala powder and salt. Add a splash of water if it sticks to the bottom of the wok. Sauté for a minute and add the tomatoes. Cook till the tomatoes are soft. Add the fried cauliflower and potatoes. Mix well. Add ½ cup of water and cook on a low heat, covered, till the potatoes and cauliflowers are cooked through. Adjust the salt and let the water dry out. Serve hot. Serve it hot buttered phulkas.